Congratulations to new Rotary Club of Greenville President Ron Demonet. Ron is the Founder and Managing Director of Veteran Scholarships Forever—a 501(c)(3) non-profit organization with the mission to establish scholarships at accredited colleges, which will be awarded to Veterans, for certified vocational and/or technical training that can increase their potential for immediate employment. 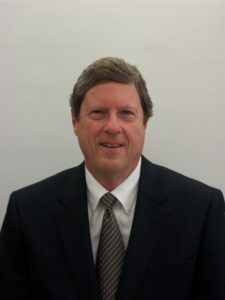 Ron is a retired business executive with over forty years of experience in the fields of engineering and manufacturing. After retiring from the private sector, he wanted to use his background and experience to help Veterans returning to civilian life. Ron grew up in Birmingham, Alabama, and moved to Atlanta in 1966 to attend Georgia Tech. He was drafted into the Army in 1970 during the Vietnam War Era and served his military time at Fort Hood, Texas. Upon leaving the Army, he moved back to Atlanta to complete his Bachelors of Civil Engineering at Georgia Tech, and worked for consulting engineering firms while becoming a Registered Professional Engineer. Over the years, he continued his education at the University of Michigan, Michigan State and Cornell University, with a focus on management. Ron spent the majority of his working life in the manufacturing sector focused on factory automation in the automotive and appliance industries worldwide. He has been actively involved in such professional organizations as the Society of Manufacturing Engineers, and Precision Metalforming Association, via committee activities and technical presentations at trade shows and seminars. He has published numerous technical articles in journals dedicated to the field of manufacturing and automation.